The Town of Reading’s elected officials have failed a real-world civics test three times in less than a month. They locked the public out of the Reading Town Hall — a town hall paid for, maintained and heated with taxpayers’ dollars — on Dec. 17, on Jan. 7, and then again Tuesday, each time leaving as many as 50 people outside in bitter winter cold. On Jan. 7 and Tuesday, the wind chill dropped the effective temperature to well below zero. While people shivered outside, a judge in a toasty-warm courtroom (with very limited seating) heard cases against people facing trespassing charges for blocking the gates at the Crestwood salt-cavern gas storage site on Route 14. But the spacious (and also well-heated) town hall room was kept vacant, except for two Schuyler County Sheriff’s Deputies, charged with keeping the people outside from entering the building while also guarding the courtroom. Until the weather turned really cold in December, the town hall meeting space outside the courtroom was open to these same citizens, many of whom were either waiting to go into the court themselves or there to support arrestees. But according to one town official, board members got their knickers in a twist when someone accidentally stepped on some decorative plants outside. Town Supervisor Marvin Switzer said the town board told him it won’t stand for people damaging “the shrubbery” and ordered the lockdown of the hall. How the town’s shrubbery is protected by locking citizens out of a public building in the middle of winter is a tangle of such illogic it seems impossible to unravel. Impossible unless the town board’s deliberate, mean-spirited action has its real roots in board members’ pique at the Crestwood protesters. Since the massive natural gas and liquid propane gas storage project was first proposed, the Town of Readinghas behaved as if persons unwilling to join them as boosters of salt-cavern gas-storage are annoyances, not concerned citizens with a differing opinion. Early in the debate several years ago, the town planning board suspended all public comments about gas storage. Other topics were welcome for comment, for questions or to engage the planners in discussion. But any utterance mentioning gas storage would rile the chairman to angrily demand silence. That Reading slap at the free speech clause of First Amendment to the U.S. Constitution has been eclipsed with this freeze-the-public maneuver. It’s a not-very-subtle attempt to thwart the public’s constitutional right to assemble. In addition to locking people out on Dec. 17, no parking signs were posted on the roads around the town hall, ostensibly for safety reasons. More likely they were to discourage people from attending court or a peaceful anti-gas storage rally because the signs haven’t appeared in Reading for other recent events. 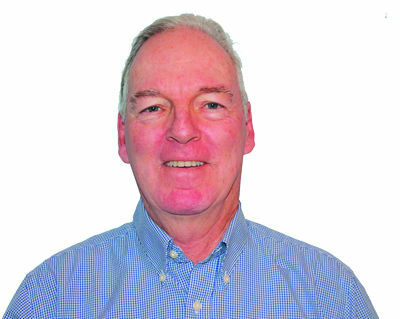 In the wake of these disgraceful incidents, the members of the Reading Town Board need to brush up on their civic responsibilities as elected representatives whose duty is to serve the public, not just those people they choose to favor based on politics. Differences of opinion about the safety and suitability of the Houston-based company’s natural gas and proposed LPG storage facility are part of the healthy give and take of democracy. Had the Schuyler County Legislature done its civic duty four years ago and led discussions and debate about the project, the nearly 200 people arrested for trespassing might not be visiting the Reading Court at all. But it didn’t and so now it’s time for the Town of Reading to reread (or read for the first time) the pertinent sections of the U.S. Constitution and then adjust its civic priorities. Priority should be given to the health and welfare of citizens and for the lawful right of citizens to assemble, not to protect ornamental shrubbery. Fitzgerald worked for six newspapers as a writer and editor as well as a correspondent for several news services. He lives in Valois and Watkins Glen with his wife. They are owner/operators of a publishing enterprise called *subject2change Media. His “Write On” column appears Fridays. He can be contacted atMichael.Fitzgeraldfltcolumnist@gmail.com. difference. “At the People’s Climate March, 400,000 people made a statement that we require climate action now. During my six weeks of marching on the Great March for Climate Action, I met many people who believe that urgent and massive action is required to minimize further damage to our ecosystem. At the Beyond Extreme Energy Week of Action, about 150 people showed who were willing to get arrested to show how disgusted we are with the actions of the Federal Energy Regulatory Commission,” he says. ture projects. I wanted to help WASL and experience incarceration like the other marchers before me,” he says. Chandler has invited anyone interested to join him on his hike, but so far he has had no takers. “Some people are enjoying following my adventure on Facebook. Would you want to go hiking with a guy who can’t speak?” he says. To communicate, Chandler has laminated cards with sayings on them, such as “I’m sorry to hear that,” “That’s awesome!””That was delicious!” and “I’ll never forget your kindness.” The weather thus far has fluctuated from cold to mild to really cold, with ice, rain and snow. But Chandler has experience camping in all conditions, and is prepared for whatever nature throws his way.“It was cold and it was snowing when I started Dec. 31. On the really cold mornings I like to get up after sunrise. 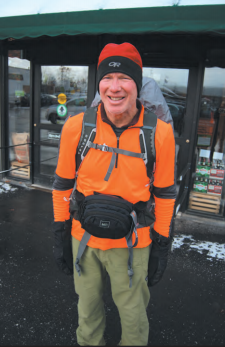 I’ve done a lot of backpacking before, so I’m used to putting up with all kinds of weather,” he says. This walk is giving Chandler a real appreciation for the beauty of the Finger Lakes region. “I love nature. It seems there are many waterfowl such as Canada Geese. On several nights I’ve heard Canada geese honking as they flew by. I’ve seen some raptors and a few ravens. This morning I saw two beautiful foxes running through the woods. They were so beautiful, it looked like they were in love,” he says. Chandler still welcomes anyone who wants to join him for any portion of his walk. Follow him at Twitter@greenridercc, or search Facebook for Charles Chandler (greenrider). Donations can be made at www.gofundme.com/silentwinterhike. Extracting natural gas through hydraulic fracturing threatens all that’s good about my upstate New York community. All my life, I’ve been a good citizen. I vote. I volunteer. I know my neighbors. Moreover, I take care of my property. I garden. I make jams and jellies to give away for Christmas. In short, I fulfill my obligations as a rural homeowner. Still, there’s one additional step I’ve taken to be a good neighbor: I’ve signed a pledge to resist fracking in New York State. I moved with my family to the small city of Ithaca in upstate New York five years ago. We were drawn to the natural beauty here and the innovative local economy, which has one of the fastest growing organic and family farming sectors in the country. Here in Ithaca, crop mobs — large groups of volunteers — show up at local farms to plant and harvest alongside our hardest working neighbors: the farmers. A network is growing, too, to provide low-income residents with access to locally grown, healthy, organic produce. We’re on the cutting edge of a new economy: one that uses renewable energy, leaves a small carbon footprint, and invests in local businesses. This emerging economy is more livable and prosperous than older models, which are failing everywhere. Fracking threatens all of this. Fracking, or “hydraulic fracturing,” is a controversial method used in drilling for oil and gas. It turns rural communities into industrial zones, complete with all the problems that come with heavy industry: blazing flares, loud noise, light pollution, heavy truck traffic, and air and water contamination. Although you might not choose to buy property next to an industrial waste site, if your neighbor wants to frack, you’re out of luck. Residents living near fracking sites complain of a wide range health problems related to pollution of their property — from nosebleeds to asthma, cancer, and kidney disease. To make matters worse, gas companies and lawmakers have teamed up in states like Pennsylvania to pass gag rules that block doctors and nurses from discussing the health effects of fracking-related chemical exposures with their patients. A recent study published in the peer-reviewed Environmental Health journal shows that not only does fracking pollute water sources — more than 687 million gallons of fracking waste laden with radioactive materials and heavy metals were injected in deep wells in Ohio alone last year — it also threatens our air quality. The study of six communities in Arkansas, Colorado, Ohio, Pennsylvania, New York, and Wyoming found high levels of air pollution at multiple fracking and oil production and storage sites. More than one third of study air samples contained concentrations of dangerous chemicals exceeding federal standards for health and safety. Among the chemicals that most often exceeded limits, the study found formaldehyde, a known human carcinogen, and hydrogen sulfide, a potent nerve and organ toxin that smells like rotten eggs. In Wyoming, the air sample contained hydrogen sulfide in concentrations ranging from twice to 660 times the level classified by the EPA as immediately dangerous to human life. These facilities are located near schools, farms, and homes. Our regulatory system is failing these families while increasing profits for the fossil-fuel and chemical industries. This is why a dear neighbor of mine recently spent the night in jail, and why 83 people in recent weeks — including the baker who makes our bread each week, and the owner of my favorite restaurant — have peacefully blocked the entrance at a proposed gas storage site beneath Seneca Lake. And it’s why I’ve joined thousands of New Yorkers in signing a pledge to resist fracking. Because if we poison this land, we’ll never get it back. Melissa Tuckey is an award winning poet and author of the book Tenuous Chapel. She’s a co-founder of the national poetry organization Split This Rock. You can read more of her writings at www.melissatuckey.net. New Yorkers can sign the anti-fracking pledge atwww.dontfrackny.org/pledge. Seneca Lake area residents are alarmed over storing methane and LP gas in underground caverns, and are risking arrest in protests. Nine people were arrested Thursday near Seneca Lake, N.Y., for blockading the entrances of an energy facility owned byCrestwood Midstream Partners LP, which received federal approval this fall to expand its methane storage operations there. Since protests began on Oct. 23, the earliest possible day the company could have kicked off construction, 92 people have been arrested. Many are from the local activist group We Are Seneca Lake. Crestwood, a Texas-based company, received approval in late September from the Federal Energy Regulatory Commission to expand its Arlington Storage facility, which uses underground salt caverns to hold purified methane, a byproduct of fracking. Construction has not yet begun. The company also has a pending application to store liquefied petroleum gas (LPG), which is mostly propane, on the same approximately 600-acre property, in existing underground salt caverns. The New York State Department of Environmental Conservation will conduct a hearing to determine the fate of this second project in February 2015. According to a statement emailed to InsideClimate News by a Crestwood spokesman, “The Northeast LPG market lacks adequate pipeline infrastructure to serve propane consumers during peak winter demand. Our LPG storage project offers a safe, cost-effective market solution to this constraint that’s less environmentally invasive than building new pipeline. We are committed to this shovel-ready storage project, just as we are committed to the safety of our employees and contractors and their ability to access” the Seneca Lake region. Protesters are concerned about the potential for explosions at both the approved and the pending storage projects. Both methane and LPG can be highly explosive. There’s also fear of potential leaks from the salt caverns into nearby Seneca Lake, one of the region’s glacial Finger Lakes, and the surrounding area, a local vineyard and tourism hot spot. “If something happens, we can’t just pull our vineyards and move,” said Paula Fitzsimmons, a physician’s assistant turned local activist with We Are Seneca Lake; she was arrested earlier this week. Fitzimmons and her husband, who was also recently arrested, own a vineyard in the region. Meckley added that many opponents are also against this facility’s expansion to store more purified methane because of the possible effect on climate change. Fracking is the controversial process of pumping chemicals, sand and water underground to crack open bedrock to extract fossil fuel reserves. Both drilling for and subsequently transporting methane, a potent greenhouse gas, result in emissions that could worsen to climate change. In addition to the nine people arrested Thursday, 10 more were arrested earlier in the week. On Wednesday, Dec. 3, an arraignment was held for 20 protesters arrested in previous weeks. Fourteen paid a fine. The remaining six people refused and were jailed. The jail time for four of them will extend for 15 days. 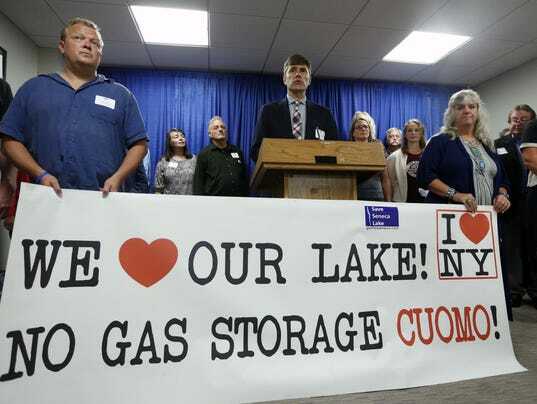 Posted Nov. 17, 2014 @ 12:11 pmCorning, N.Y.After five years of secrecy and deception, it’s time to throw the bright light of day on a proposal to store liquid petroleum gas, or LPG, in abandoned unlined salt caverns next to Seneca Lake.Long overdue sunlight must finally be allowed to shine on the caverns’ history. To do that, the state Department of Environmental Conservation — with Gov. Andrew Cuomo’s guidance — will need to order Crestwood Midstream’s proposal to stand trial.Earlier this month, the DEC issued draft conditions for the LPG storage permit in advance of an “issues conference” scheduled for Feb. 12. In Watkins Glenn — an idyllic part of upstate New York best known for its Finger Lakes, fall foliage and wine — activists worry it could soon be known for something less appealing: industrial disaster. Protesters in the area are engaging in civil disobedience to stop the expansion of a gas storagefacility that stores fracked gas from Pennsylvania in old mined-out salt caves, claiming it presents a safety risk to local residents, an environmental danger to the Finger Lakes region and an economic threat to the area’s wine and tourism industries. 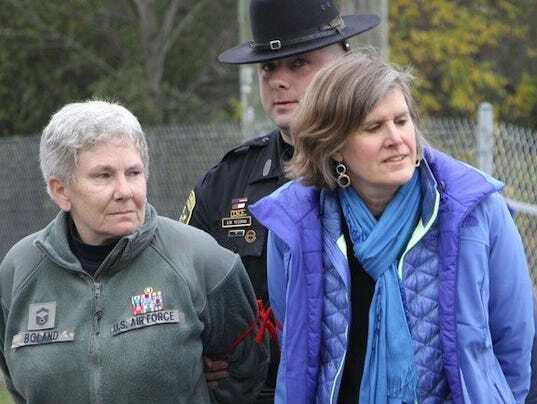 “We do not want the crown jewel of the Finger Lakes and the font of the wine industry turned into a massive gas station for the fracking industry,” said Sandra Steingraber, a prominent anti-hydraulic-fracturing activist and environmental studies professor at Ithaca College who was one of about a dozen protesters who have been arrested several times during continued protests, most recently on Nov. 3, for blocking the entrance to the storage facility. The controversy over the facility, owned by Houston-based energy company Crestwood Midstream Partners, was brewing for years but came to a head this summer after the legislature of Schuyler County, where the facility is, voted in favor of the proposed expansion, triggering protests that brought out hundreds. The facility is made up of dozens of old salt deposits that were mined out over the last century, creating naturally sealed caverns that can be used to store liquids or pressurized gas. The caverns are conveniently located a few hundred miles from the booming natural gas fields of the Marcellus Shale in Pennsylvania and close to two gas pipeline routes. But they’re also right next to Seneca Lake, the largest of New York’s Finger Lakes, and one of its most environmentally compromised, thanks to years of leaching pesticides and fertilizers from surrounding farms. Activists say pressurizing the old salt caverns could cause salt and gas to seep into the lake and pollute the ground, affecting the region’s wine industry. And they point out several catastrophic underground gas and oil storage accidents, including some that have been deadly. In one incident near Houston in 1992, a salt cavern was overfilled, causing flammable liquid to leak and explode, causing one death and dozens of injuries. Two people were killed in a salt dome explosion in Texas in 1985. Still, the Federal Energy Regulatory Commission (FERC), the presidentially appointed panel that oversees most natural gas infrastructure in the United States, gave the Crestwood Midstream expansion plans the go-ahead last month. To the company’s supporters, that showed the plans were safe. To the company’s detractors, it confirmed that the FERC nearly always sides with industry despite local concerns. But so far, protesters say calls to representatives have proved fruitless. Sen. Charles Schumer has not responded to protesters’ concerns and did not respond to requests for comment for this story. The FERC has developed a reputation for siding with industry. The agency has received 803 applications for natural gas infrastructure since 2006. It has approved 451 of them, and 98 are pending review. 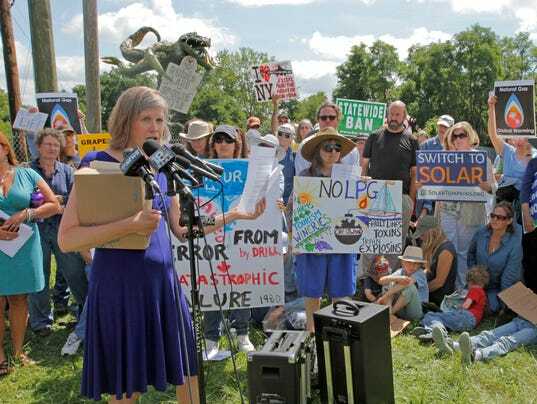 According to the FERC, 258 have been denied or withdrawn, but the agency could not provide a breakdown of how many were denied, as opposed to voluntarily withdrawn by companies. Some have speculated that the FERC has denied nearly none of them. FERC spokeswoman Tamara Young-Allen said the commission has rejected only two applications since 2011. “Unless we have some intervention from people in power to intercede on behalf of their constituents, we’re going to be taking all this risk while Crestwood takes the profits back to Texas,” Campbell said. Crestwood wouldn’t comment for this story, except in an email from a spokesman who would not allow his name to be used. That email addressed why Crestwood called the police on protesters last week but not the protesters’ concerns about the facility. “We have respected the protesters’ rights to oppose our growth projects, but our employees and contractors depend on having access to our existing operations at the U.S. Salt complex,” the statement read. Crestwood’s official plans are to expand its current natural gas storage capacity by a third, from 1.5 billion cubic feet to 2 billion cubic feet. It also wants to add 2.1 million barrels of liquid gas storage capacity for propane and butane at the facility, a project that received a preliminary permit from the New York Department of Environmental Conservation last week, though that permit is still subject to public input and could be changed. The department said in a statement that Crestwood’s permit application is pending as the state gathers public comments, but the protesters contend that the state has also proved its allegiance to industry. An investigation by news outlet Capital New York last month found that a fracking study performed at the request of Gov. Andrew Cuomo’s administration was edited to downplay risks associated with natural gas storage before it was made public. Activists say Crestwood has much larger expansion plans than what it is permitted for, pointing that in several interviews and statements, company officials have spoken of expanding the facility to 10 billion cubic feet of storage — five times what their current permit allows. Crestwood would not comment on this disparity. Underground oil and gas storage accidents are rare but can be catastrophic. Data on salt cavern storage is sparse, but one report commissioned by the British government in 2008 found that salt cavern facilities worldwide have collapsed or been breached 27 times since they began being used to store oil and gas in the 1940s. According to nonprofit investigative news outlet DC Bureau, salt caverns represent 7 percent of the U.S.’s approximately 400 underground gas storage sites. All eight deadly cavern disasters have occurred in the U.S., according to the British report. In those disasters, the contents of the caverns caught fire, causing explosions. Nonlethal accidents have nonetheless created major headaches and environmental disasters. Perhaps the most infamous is the Bayou Corne sinkhole in rural Louisiana. There, a salt cavern collapsed in 2012, creating a 750-foot-deep hole that spans 30 acres and is filled with a toxic brew of oil, chemicals and water. It is still growing. Louisiana has urged the 350 residents of the area to move, and many are involved in a class-action suit against Texas Brine, the company that owned the caverns. Bayou Corne represents the worst-case scenario for residents near Seneca Lake, but residents worry that less dramatic but nonetheless troubling hardships could stem from the expansion of the facility. Seneca Lake is already several times saltier than other Finger Lakes, and research from Hobart and William Smith Colleges in 1995 points to salt-related industries as the probable cause. That’s particularly worrisome for the area’s vineyards, which rely on the groundwater around Seneca Lake for their grapes and the pristine nature of the region for tourism. Barges and groves of trees being sucked down watery sinkholes. Downtown buildings erupting in geysers of flame that can’t be quenched. Forget the rhetoric. Just roll the videotape, and you’ll see what some people would have you believe is in store for the southwestern shore of Seneca Lake. Others say such things could never, ever happen there. This is the essence of the controversy that’s focused on one company’s proposals to store large quantities of propane, butane and methane in underground facilities along the southwest shore of the largest Finger Lake. After delays that in one case stretches back five years, the proposals by Houston-based Crestwood Midstream are suddenly advancing through the government approval process. Federal regulators last month okayed the proposal to expand Crestwood Midstream’s methane (natural gas) storage capacity from 1.45 to 2 billion cubic feet. State regulators on Monday issued a draft permit for the propane and butane storage project. Company officials were quoted expressing relief that their projects had begun to move forward. This was not welcome news to the residents, business owners and environmental activists who have been protesting the proposals since they came to light. In what was not the first such incident, 10 protesters got themselves arrested blocking trucks at the site two weeks ago. One person pleaded guilty and was jail, and has been the subject of a candlelight vigil. The others are due back in court next week. The fierce reaction to the proposals stems in part from their location — in the heart of wine and tourist country on the shore of one of the state’s biggest and most beautiful lakes. It also stems from the bedrock opposition that exists among quite a few New Yorkers to anything that has to do with the form of gas and oil extraction known as hydraulic fracturing. Crestwood Midstream must be wondering where it went wrong. The company has billed the twin projects on its 586-acre site as economically beneficial, safe and no different from the other natural gas and LPG storage facilities that dot upstate New York. New York’s Department of Environmental Conservation noted three liquid petroleum gas facilities in use as of 2012. They all were located in the south-central part of the state. All three store LPG in salt caverns — giant roomed carved from natural salt deposits by miners. And at last count New York was home to 24 underground natural gas storage facilities with a combined working capacity of 122 billion cubic feet. That placed New York third among states in number of facilities and ninth in working capacity. (See the data sethere.) All of these storage facilities are in what are called depleted gas fields, meaning the gas is forced into rock formations from which gas was previously removed. 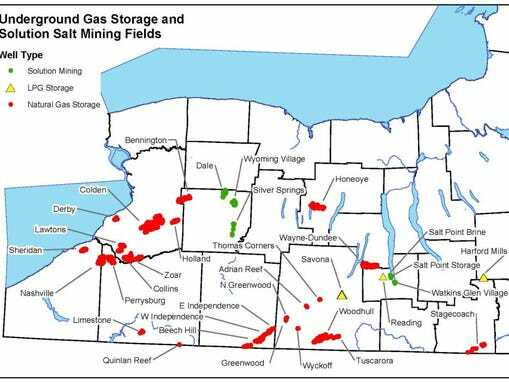 As the map indicates, facilities are scattered throughout the western portion of upstate New York. Several lie near two other Finger Lakes, Honeoye and Keuka. The expansion approved last month near Seneca Lake increases upstate’s storage capacity only by about one-half of one percent. But the opponents argue that all underground storage isn’t created equal. Crestwood’s facilities at Seneca Lake would be located in salt caverns and opponents point out that while salt deposits can be very stable formations, they also can be subject to failure. That’s where the disaster videos come in. The video that’s linked above depicts an episode in Louisiana in August 2012, when the collapse of a salt cavern in a brine-production mine created a sinkhole that began draining Bayou Corne. Nearby residents were evacuated and remain displaced more than two years later. Another even more spectacular disaster occurred in the same state in 1980, when an exploratory oil rig on Lake Peigneur in Louisiana accidentally punctured the ceiling of an active salt-mine cavern below, causing the lake to drain into the mine through what has been described as the biggest sinkhole in history. And then there was the dreadful fires in Hutchinson, Kansas in January 2001. Natural gas being stored in a salt cavern escaped, apparently through a broken pipe, migrated through the rock and emerged miles away to fuel terrible, mysterious fires. Though the video isn’t quite so jaw-dropping, the ceiling in a chamber of the historic Retsof salt mine in Livingston County collapsed in 1994, creating a sinkhole and other odd geological impacts and led to the abandonment of the mine. Crestwood Midstream, whose officials didn’t return a call for comment for this blog, have argued that the circumstances of those disasters were different, and that the salt caverns they plan to use are solid. Federal regulators clearly agree, and the DEC seems to be trending that way. Opponents raise other concerns — brine pumped out of the salt caverns would be stored in surface ponds, creating a potential source of pollutants for the lake. And life near the site would be disrupted by a marked increase in truck and train traffic. But it’s the videos that allow opponents of the Seneca Lake projects to raise the specter of catastrophe — the waters of Seneca Lake disappearing down a hellish sinkhole or Watkins Glen lying in ashes. Retired Air Force Senior Master Sgt. Collen Boland will mark Veteran’s Day with a vigil outside Schuyler County Jail in New York tonight. That’s where a fellow veteran is serving a 15-day sentence for refusing to pay a fine for trespassing — and where she too may end up following a court appearance scheduled for next week. Boland and Dwain Wilder, a former sailor, were among 10 protesters arrested Oct. 27 for blocking the entrance of an energy company that four days earlier got the green light to expand an existing natural gas storage facility near the largest of New York’s pristine Finger Lakes. The pair are among hundreds of so-called Seneca Lake Defenders who fear the environmental impacts of the project, which involves storing natural gas in old salt caverns in the area. 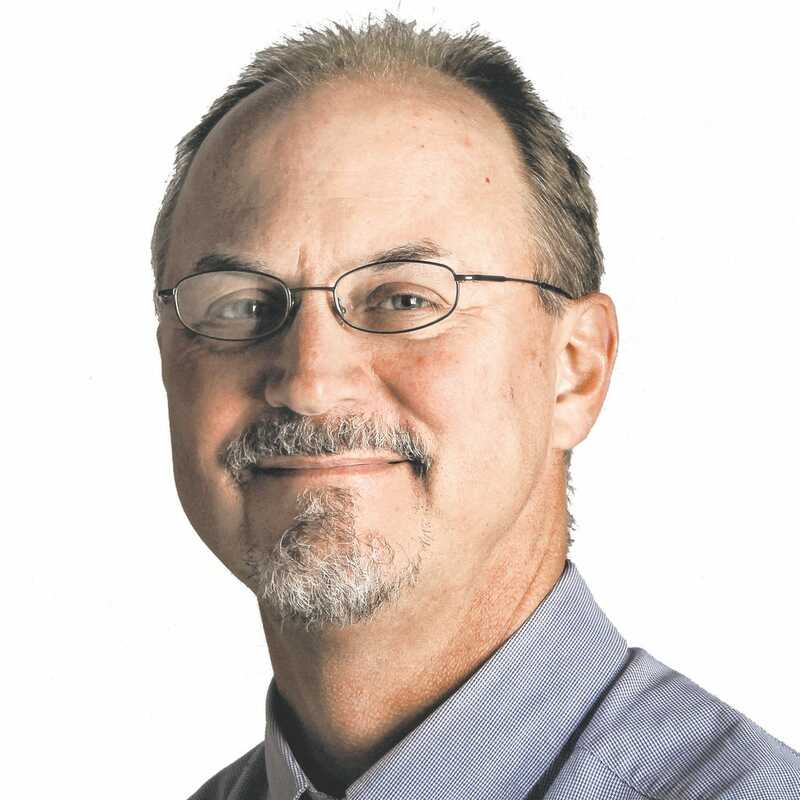 Until late last month, Boland, 58, lived a relatively quiet life in Elmira, just north of the Pennsylvania border. She retired from the Air Force in 1995 following what she called a storybook career traveling to parts of the world she hadn’t known existed. She went on to earn a degree in human development from Cornell University and volunteer for a home for abandoned children in Nepal. But on Oct. 27, she donned the U.S. Air Force fleece jacket emblazoned with her name, rank and rows of decorations. She headed out to Crestwood energy company’s Schuyler County entrance and linked arms with fellow protesters. When a tractor trailer approached, the human chain refused to move. Sheriff’s deputies showed up a few minutes later and placed them under arrest. The whole ordeal was captured on video that has since been uploaded to YouTube. She wore the jacket for a number of reasons, Boland said in a press conference that followed the group’s arrest and release. In an email statement, a Crestwood spokesman said the company respects the rights of protesters who oppose the growth projects. “But our employees and contractors depend on having access to our existing operations at the US Salt complex” where the rally took place. “Unfortunately, we were required to involve law enforcement after the protests began to raise safety concerns and interfere with the operations of our century-old US Salt plant,” according to the statement. It served her well, she said. Boland worked at the Pentagon and was a staff member for the White House’s National Space Council. She was an administrative assistant for the commander of U.S. Pacific Command, traveling to more than 20 countries by the end of her Air Force career. “It was very difficult and the stress level was high and we didn’t sleep much. But the opportunity to go out there and meet the people of the world and feel that we’re all in this together — that forms who I am today and what I’m doing today,” Boland said. It happened a few years ago, Boland said, after she watched the 2010 documentary “Gasland.” The film details the dangers of drilling for natural gas, and the highly contentious process of hydraulic fracturing in particular. When New York lawmakers passed a two-year moratorium on the process in 2013, she turned her attention south, to just over the border in Pennsylvania. The company she protested against sought — and recently received — approval to expand storage of methane gas in abandoned salt taverns, although it hasn’t yet begun. Proponents of the project say it is perfectly safe. Boland believes the science says otherwise. Boland faces charges of trespassing and disorderly conduct, to which she pleaded guilty to last week. The judge in her case postponed a decision until Nov. 19. She’ll most likely be ordered to pay a fine — which Boland, like fellow veteran Dwain Wilder — has no plans to do. If it lands her in a jail cell, she said, so be it.